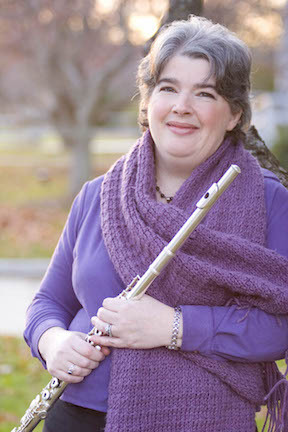 I “met” Gia Volterra De Saulnier, author and musician, through a wonderful KidLit website/online community, Kidlit TV. 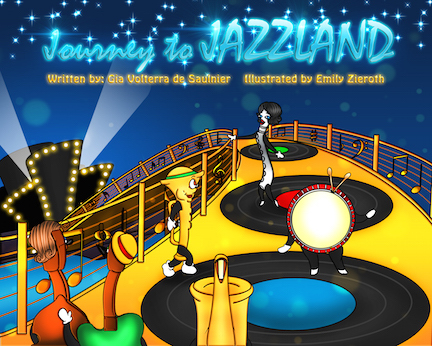 Gia has written a picture book that puts music into the spotlight, called Journey to Jazzland. I’m pleased to feature Gia today in this Starborn Revue Spotlight Interview. Beth: Thanks so much, Gia, for agreeing to this interview. 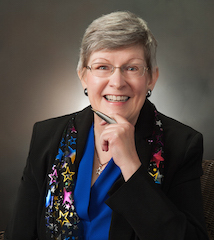 Could you tell my readers a bit about yourself and your background, by way of introduction? Gia: Sure, thank you so much for featuring me, I really appreciate it. I’m a musician/performer that turned into a Picture Book author. 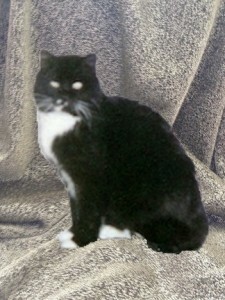 I live in North Reading, MA with my husband and my son Charlie. Beth: Your kids’ book, Journey to Jazzland, sounds intriguing. Without giving away the whole story, could you tell us a bit about it? What age kids is it intended for? Gia: This story is sort of my story, it’s about a Flute named Windy who got bored one day in Orchestra and played some wrong notes. She learns a little bit about jazz and how you can go about your “Journey” with friends backing you along the way. I think this book is for ages 5 to 9, but parents can read it to younger kids. It is a little wordy for kids younger than 5 unless they are an early reader. Beth: What made you decide to write Journey to Jazzland? Gia: In 1999, I took a class called “English Lit 102” at Bunker Hill Community College (MA) and the end project was to write and draw a picture book for kids. Since I was a jazz flutist (and I still play sometimes these days) and back in College, I was informed that flutes don’t play jazz. I had to study both classical music and jazz music in order for me to even get into the Jazz program, but I did it as I was just entranced by jazz. Beth: On my blog and my website, I talk a lot about empowering kids and adults to be all they can be. Do you see involvement in music, and particularly in jazz, as empowering people, and if so, how? Gia: I know that music can empower kids and adults, and it depends on the person, but I truly believe that jazz can help improve kids by learning about improvisational skills as well as listening skills. I know that jazz has been on the back burner for years which means that young adults and very young kids don’t even know what jazz is. I think that jazz is slowly making a comeback (thanks to Tony Bennett keeping it alive) and hopefully with this book, I can inspire kids to learn a little bit more about music and jazz, which starts a conversation about it so they can be inspired to know about all that great jazz music. Beth: Do you have plans to do other writing? Gia: I never really saw myself as a writer, but I have been inspired with getting this book published that I am working on another Picture Book called Boogie in Bluestown and I have some short fiction published in Innovate Magazine out of UK. I also started writing on Wattpad but it’s called timing between the [renaissance] faires we run in the summer, working full time, being a mom and trying to get back out there and play music. Beth: How can people find you online? How can they find Journey to Jazzland? 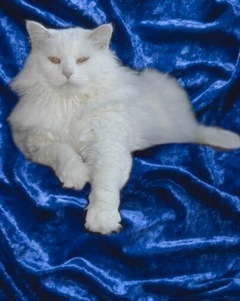 Gia: I am on Facebook, Twitter @giazzpet, Google +, LinkedIn, Goodreads, Wattpad, YouTube and a few other social media sites. I also have a fan page for the book at http://www.facebook.com/journeytojazzland and a website at http://www.journeytojazzland.com. The book is available in hard cover, soft cover and e book editions on Amazon.com, also New England Peddler has some signed copies. Barnes and Noble has the hard cover only. I was extremely lucky as 3 hard covers are at Berklee Bookstore in Boston, and of course my publisher, Flying Turtle Publishing, has copies as well. Gia: I hope that this book can help keep music in Elementary schools. So many schools are cutting music and arts. I feel that it’s imperative that we keep music in schools as it does help learn not just about music, but about math, language, how to listen and so much more. I hope that kids can take away something from this picture book and be inspired to learn more about playing an instrument or learning about jazz. I am just so grateful that Flying Turtle Publishing gave me a chance to get this book published. I can’t thank you enough for featuring me, I really appreciate it. Thanks for joining us today, Gia! All the best to you with Journey to Jazzland and your future projects! Thanks again for letting me be featured! I really appreciate it! You’re welcome, Gia! Thanks for the interview!